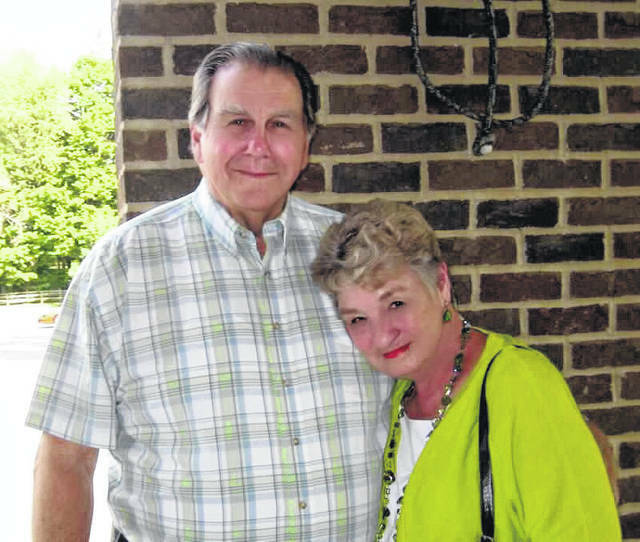 Ronald Lee and Zoe Ann (Lawson) Barnhart, 38 Stone House Way, Newark, Ohio, celebrated their 60th wedding anniversary on Aug. 19. A celebration was held in their honor and took place on Saturday, Aug. 18, 2018, at Spring Hills Church in Newark, Ohio. The couples enduring marriage was chronicled at this joyful event where they were surrounded by their children, grandchildren and great grandchildren. It was described by the couple as even more beautiful than their wedding day. They were married on Aug. 19, 1958, in Dillon, South Carolina, by JP Billie K. Reaves. The couple has three sons and two daughters, Gregory W. Angel (1955-2002), Cathi R. Lucas, Newark, Ohio, Dale E. Barnhart, Columbus, Ohio, Kenneth S. Barnhart, Seminole, Florida, and Leah A. Boggs, Upper Arlington, Ohio. They also have 19 grandchildren and 22 great-grandchildren. Zoe is a retired bank officer with National City Bank.